Not a person, but a molecule. It looks complicated, what does it do? It is a drug for the treatment of Onchocerciasis. This is getting too complicated for me. 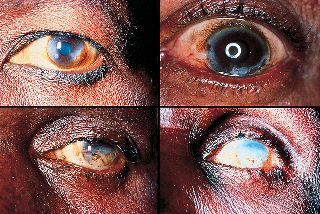 The disease is also known as river blindness. It is sometimes called Robles' disease, after the Guatemalan doctor Rodolfo Robles, who first linked the blindness with an insect a century ago (1915). Why is it called river blindness? The infection is associated with a nematode worm Onchocerca volvulus, which are transmitted by Simulium blackflies which live and breed near fast-flowing streams and rivers. The worms carry parasitic Wolbachia bacteria. 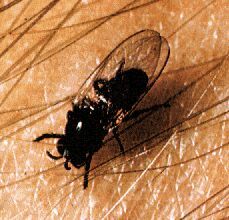 The bite of the flies enables the worm larvae to enter the human’s body; after maturing into adults, followed by breeding, the larvae (microfilariae) formed move towards the skin, and release the bacteria when they die. 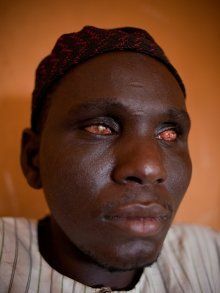 The bacteria trigger an immune response which leads to lesions on the eye and possible blindness (the “river blindness”). Left: the Simulium fly (from http://flipper.diff.org/app/items/6730). Right: Simplified life cycle of Onchocerciasis volvulus, modified from the original at: http://emedicine.medscape.com/article/224309-overview#a0104. So how was it discovered that ivermectin was a good treatment for river blindness? It started with the avermectins. In 1974, a group of researchers headed by Professor Satoshi Ōmura (photo, right) of the Kitasato Institute, isolated an organism with promising antimicrobial properties in a soil sample (sample OS-3153) picked up near a golf course at Kawana, Ito City, Shizuoka Prefecture, Japan. This was passed on to researchers at the Merck, Sharpe and Dohme (MSD) research laboratories in the USA, who isolated a small family of natural products that became known as avermectins. For many years, scientists have looked in soil samples for the source of potential medicines, like the tetracyclines (MOTM September 2011) or streptomycin (MOTM April 2014). There are 8 avermectins, molecules with closely related structures. They are made by fermentation from the bacterium Streptomyces avermitilis. The 8 different avermectins, with the differences between them shown in the table below. The avermectins proved to be have biocidal activity against a wide range of parasites – such as roundworms, lungworms, mites, lice and arachnids; one of these parasites is the tick Rhipicephalus (Boophilus) microplus, one of the most important cattle parasites in tropical regions. Those with the -CH=CH- function are the more active; the most potent was Avermectin B1, occurring as an 80:20 mixture of the similar molecules B1a and B1b, particularly the B1a component. Commercially it is known as Abamectin. Why make ivermectin, if avermectin’s so good? The potency of the avermectins varies, depending on the substituents, so it made sense to look at related molecules. Ivermectin is 22, 23-dihydroavermectin. How do you make ivermectin? You need to add just two hydrogen atoms to reduce a C=C bond in avermectin. This is done using hydrogen gas, with RhCl(PPh3)3, Wilkinson’s catalyst (MOTM July 2013), to speed things along. Why is only one of the double bonds in avermectin reduced? Although there are 5 double bonds in avermectin, three have the E-configuration and only two have the Z- configuration. One of these is much less “hindered” than the other, so it is easier for the catalyst to bind to this one, rather than the others. That is why RhCl(PPh3)3 acts as a selective hydrogenation catalyst. And what is ivermectin good at? It’s active against Nemathelminthes or nematodes (roundworms) and the Arthropoda (insects, ticks, and mites). In practice, that has meant it has become a very important veterinary drug to protect cattle, sheep, pigs, horses and dogs from many parasites; for example heartworm infections in dogs. It was originally thought to work through affecting γ-aminobutyric acid (GABA)-gated Cl- channels but glutamate-gated Cl- channels (which are absent in vertebrates) are now believed to be the main targets; these affect transmission of nerve messages in peripheral muscles of the insects and nematodes. Humans are not affected because ivermectin cannot cross the blood-brain barrier to reach these transmitter sites in the central nervous system; a very few types of dog (e.g. collies) are affected. It is estimated that some 100 million people are at risk of contracting it, mainly in Africa, with some 40,000 new cases of blindness a year, many of these young adults. Ivermectin is believed to kill the microfilariae very gradually, so that the inflammatory response is avoided. It also reduces the chance of the flies being able to transfer them to other potential victims. Clinical trials on Ivermectin began in 1981 in Senegal. Results were so promising that trials were carried out in several other African countries. In 1987, Merck, the company which had developed Ivermectin, promised that they would donate it – under the brand name Mectizan - free of charge to anyone for as long as it was needed. The disease has been wiped out in Colombia and there are indications that it is only a matter of time before it is eliminated from Latin America. Are there other drugs like ivermectin? Doramectin is a similar molecule, used to treat parasites in animals, such as cattle, horses, sheep and pigs. And ivermectin is in the news! Indeed. 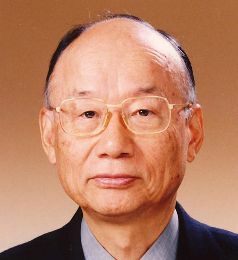 It was announced on October 5th 2015 that the 2015 Nobel Prize in medicine was to be shared between William C. Campbell and Satoshi Ōmura “for their discoveries concerning a novel therapy against infections caused by roundworm parasites” – the naturally occurring Avermectin and its development into the semisynthetic Ivermectin – and Youyou Tu “ for her discoveries concerning a novel therapy against Malaria” – Artemisinin (MOTM May 2013). Chapman and Hall Combined Chemical Dictionary compound code number CMD99-Y (Ivermectin); CLF13-X (Avermectin). S. Ōmura and A. Crump, Nat. Rev. Microbiol., 2004, 2, 984-989. (“The life and times of ivermectin - a success story”). I. Farrell, Education in Chemistry, November 2013. (“One in the eye for river blindness”), online.